The fine dust filter NGF is offered in a compact and modular design. 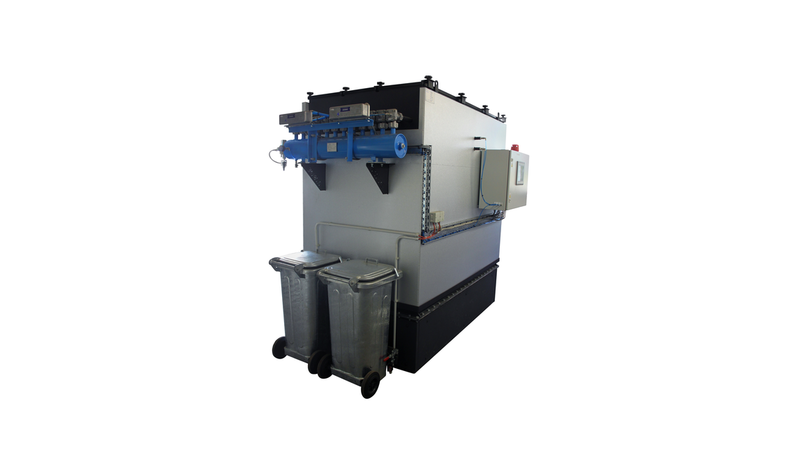 The filter is available for automatic feed, powerful biomass-firing systems. This fine dust filter works with microporous ceramic filter elements for highest separating performance of up to .99,99% efficiency. The operating function is simple: The hot gas is drawn from the outside to the inside through the filter elements via tha main fan. In this procedure dust particles are deposited on the outer surface of the ceramic elements. The ceramic elements are automatically cleaned with a reverse pulse of compressed air on a timed basis and the differential pressure is monitored and recorded. An automatic screw conveyor or walking floor discharge is fitted, depending on the customers requirements, the dust is collected in a standard metal bin.